A video-based work exploring the concept of ‘harvest’ within rural-agrarian and urban-consumer society. Harvest depicts a local consumer procuring harvest from a local supermarket (right), and a farmer hand-harvesting the same rice in the country of origin (left). 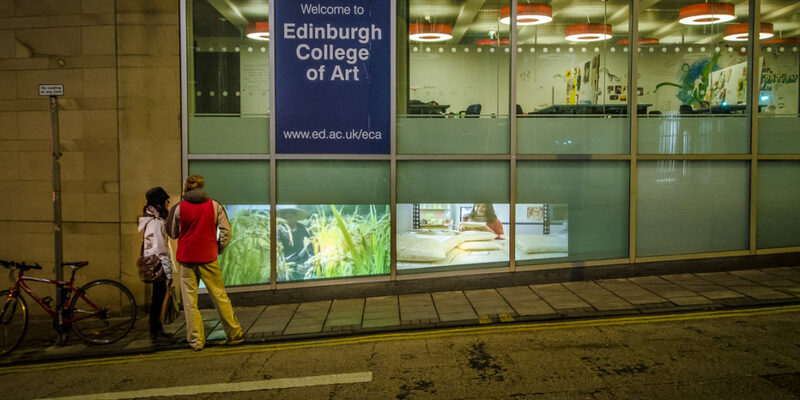 The initial installation in Edinburgh was a two-channel video installation using reverse projection, with videos showing at street level on Lady Lawson Street. The installation was accompanied by two film stills, printed and mounted inside the building. The video used in this installation was also exhibited in South Korea and Scotland.